Guest speaker Arno Kuiumdjian speaking to Armenian young professionals. 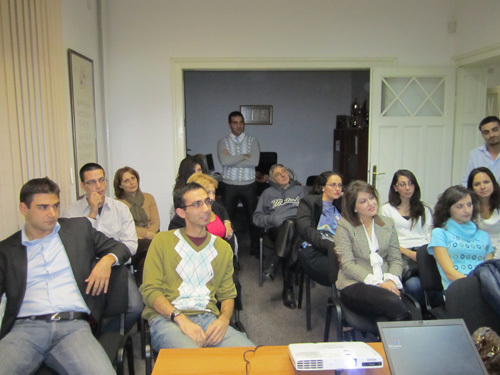 On Friday, October 28, 2011, over 20 young Armenian professionals attended a career networking event hosted by the AGBU Young Professionals (YP) of Sofia. The first part of the evening was a presentation by Arno Kuiumdjian, former head of Supply Chain Management for Russia and Central Asia at Siemens. 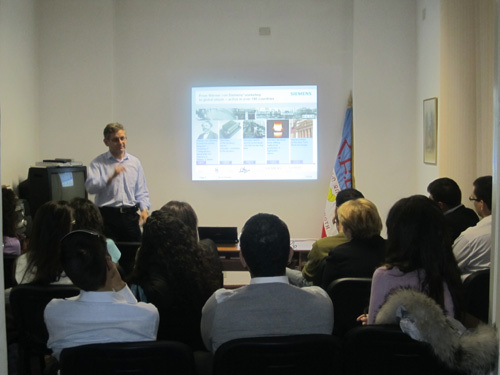 Kuiumdjian talked about Siemens’ worldwide profile and the company’s operations, as well as the principles of the supply chain management function. The second part of the evening included a cocktail reception, where young professionals exchanged interesting ideas related to global companies and discussed current challenges of the economy in the region.